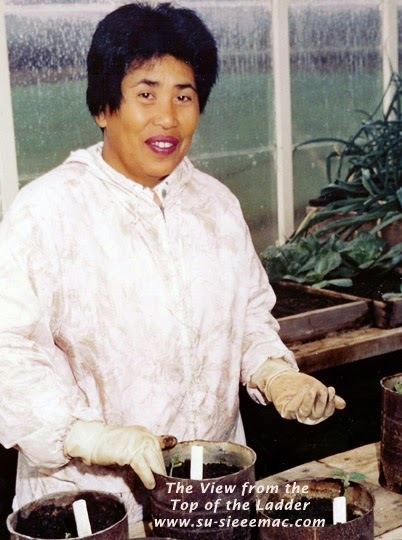 For nearly 27 years, the Mama worked in applied seed research. She had a hand in getting the stink out of broccoli and creating an oblong tomato that would be easier for machines to pluck without bruising, among other horticultural feats. This was many years before genetic engineering in agriculture came to be. Back then, seed research involved people cross pollinating generations of cabbage, tomatoes, corn, pumpkins, squash, peppers, broccoli, melons, and other vegetables and fruits. It's not as easy as you think. It takes steady hands and a focused mind. And, if you're working with the Mama, you definitely cannot be a slacker, at least on the job. I ought to know. I worked for her for two summers when I was a teenager. One of the best paying jobs to have back then. The Mama was the supervisor of the crew of seed technicians. Summer being the busy season, she hired two or more teenagers to help out. She wouldn't hire me until the summer after I graduated from high school. There were many aspects to the Mama's job. I only learned how to be a human bee. 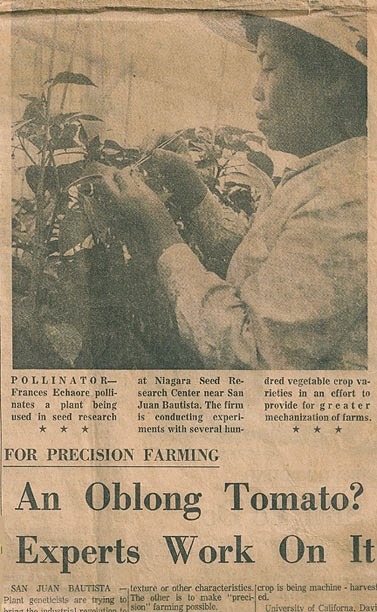 Even more than 40 years later, I still recall the basic things to know, which applied to any plant. You carefully strip a female's dress (petals), making sure you don't touch any part of her reproductive organs with your fingers or your tools. You harvest male flowers from the correct rows. And, you have to make sure that neither the female or male has already opened and, thus, possibly been compromised by bees, butterflies, or other pollinating insects. You also have to remember to cover the pollinated female with the proper covering and tag her with the male's ID number before you move on to the next one. It was very fascinating work. Looking back, I would've loved to have gone through at least one full cycle of the process of planting seeds to threshing the seeds and bagging them. 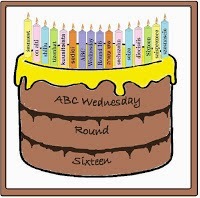 Today is ABC Wednesday, a meme began by Mrs. Denise Nesbitt and now headed by Roger Green and his helpers. Click here to read posts around today's letter P.
If you've come from the Blogging from A to Z April Challenge, my Y post is over here. How amazingly cool! Your mama had to be very patient to wait for her results. That sounds like such an interesting job. No wonder she is still out in her garden today. Patient, definitely. But, don't take that as meaning she is a patient person. If seeds don't sprout within a couple of weeks, she starts over again. Yup. That and a whole bunch more of other stuff. Where she worked was one of the seed research centers for the company. I think she was in her late 40s in the photo. What a wonderful post and knowing what you know now from what you learn long ago, your right it is not easy to learn plant biology, something I myself had learnt years ago and even to this day there is always something new being discovered. If I wasn't such a lazy head back then, I would've given agricultural science a try. Thanks, Margy, for looking up more about pinesap. I'll definitely pass on eating the plant. Though it probably would've been something to have yesterday. What a special lady, her hard work really is appreciated I;m sure. My knowledge of plant biology is slim but I do love growing things. Yes, I think the doctors that she worked with her happy she was on their team. They may have had the knowledge, but she had the know-how and green thumbs. Oblong tomatoes? Are they the Italian Plum Tomatoes ? Little wonder she spends so much time in her garden. I really enjoyed reading about her. Yes, I'm very proud of the Mama. I don't think thing the oblong tomatoes are the same as Italian Plum tomatoes. I remember them--the oblong tomatoes--having a thicker skin. This was in the late 60s and the objective was to develop them so that machines could easily pick them out of the fields. What a wonderful and lovely blogspot !